Bob the CPA: This is Abacus. I’m Bob the CPA. Today, I’m talking with Vince LoRusso. He’s a Big 4 alum with experience in a variety of industries and different size companies. Today, he’s the co-founder of TrueUp, an online platform for helping CPAs manage their careers. 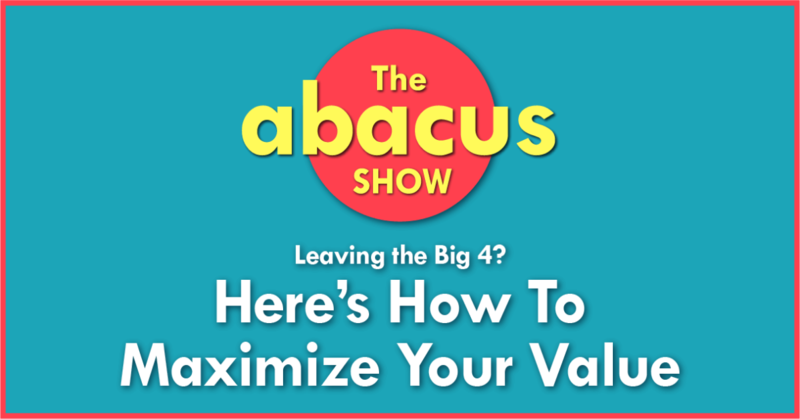 In this interview, Vince and I are going to talking about leaving the Big 4, specifically the fears we had when we were leaving, how to maximize your value in leaving, and the different workplace cultures you should look for in your next job. Bob the CPA: We all know that starting your career in public accounting has a lot of advantages. There’s great training programs and a lot of on-the-job learning. You work with other highly intelligent, motivated people, and your network of friends and colleagues is something that will last you the rest of your career. But it’s no secret that most of you aren’t going to make partner at your current firm. So I hope this helps you make an informed decision when you’re looking for something new. You can get links to everything we talked about in today’s episode at the Show Notes by visiting abacusshow.com/203. Now let’s get into the interview. Today, we’re going to be talking about leaving the Big 4 public accounting and kind of some of the options that are available afterward. But first, can you tell us maybe a little bit of your career story, what your path has been, and kind of how that makes you qualified to share this advice with others? Vince LoRusso: Absolutely. Yeah, I’ve had a huge mix, quite a variety of experiences. So I spent three years with Price Waterhouse in Buffalo, New York. Within PwC, I worked on firm financial services to healthcare to concessions, retail sort of industry, so I’ve got a good mix of that industry experience, and in seeing from large to small, I was on public clients and private clients. So it’s a great scale within those few years. Then, from my own personal decision, I wanted to move somewhere new and kind of warm. So I jumped out to L.A., and I decided to leave public accounting at that point, and that was, again, my first job search out of public. So it was a little nerve-racking, but I planned it early enough, and I actually committed to that final busy season of PwC. But I was speaking with recruiters and seeing what that job market looked like, and I had some positives and some negative experiences with the recruiters. But I finally got into a job that was with Cornerstone OnDemand, and it was right before they were going public, and I was fortunate enough to work on their IPO and really part of a very fast-growing team. So it was kind of chaotic, but it was exciting, and looking back, that was a very fortunate situation. So I got into a high-growth company, and I say high-growth because that’s a very specific type of culture. Then after leaving Cornerstone, most of my time has been more on the consulting side, and I would, again, just go to different industry with different types of clients, different sizes. And all along the way, I’d see all these different types of cultures and the type of people that go to each culture. So it helped a lot. Just to give an example, the Rubicon Project, the ANIS company, Lions Gate Entertainment are a few, but I’ve worked for TeleSign Mobile Messenger and a lot of different types of projects, and personally, that’s my kind of niche. I really prefer the project-based work, and it could range from implementing new system. I implemented NetSuite for TeleSign, for example. Or you could do pre-audit support, or you might do intern controller type work. There is, for our CPAs in Big 4 or in the other firms, there is just such a wide net of opportunities. Bob the CPA: I think that something people don’t realize is they’re so afraid to make that first jump out of the Big 4 or audit or tax, and they think that’s going to be their permanent place for the rest of their career. When in actuality, like you said, you went out, you did one thing, then you switched over consulting. You got to do a whole lot of different things. And just touching on the consulting piece, I think that’s a lot of … People think if they want to go into consulting, they have to stay at their Big 4 firm, and they are kind of nervous about how to make that transition. Was there anything special you did to get into consulting, or how did you find yourself in that line of work? Vince LoRusso: Yeah, definitely, and I’m glad you bring that up, because you don’t have to be Big 4, or you don’t have to be in a public accounting firm. There are tons of consulting firms out there, and there’s tons of needs for what makes these consulting firms thrive. I mean, from your mom-and-pop shop up to your firm that might have 200 people and be national, there are so many needs. My first engagement was through one individual who had a relationship at Lions Gate, and I help them out with their 10-Q and their 10-K. And I had really because I got myself out there and networked a little bit, and there’s such a demand for accounting finance professionals that we’re constantly being sought after. So if you just get yourself out there, you’ll find work. We’re very empowered. Accounting finance professionals are very much needed and in demand. Bob the CPA: So when you were deciding to leave the Big 4, what were some of your biggest fears or challenges you went through when making that decision? Vince LoRusso: Yeah, it’s a big decision, too. Two in particular. One: “Am I leaving too early?” So I always wondered because I went through three busy seasons, and I always wondered, and they kind of dangle the carrot in public accounting, right? It’s like, “Get to that next level. Get to senior. Get to manager, and you’re gonna be set for life,” kind of thing, but was I leaving too early? I don’t know. Bob the CPA: So you mention leaving too early, and then was there anything else that kind of made you a little nervous or kind of kept you up at night when you were trying to decide if you were leaving? Vince LoRusso: Yeah, absolutely: deciding on what type of job. There’s so many factors that go into picking your next job, and typically out of college, if you get with a Big 4 firm, and after leaving public accounting, you’re essentially going into your first job out of public accounting and jumping into industry. You’re going from public to industry, and there’s so many factors involved. And the best way to overcome that really is to talk with experienced people, those who have actually made that leap and weighed out those factors. And get a sense of what your options are. And I did that just through my own searching, spoke with a couple of recruiters, and vetted the job marketplace for, “What do I do after public accounting?” And a lot of just the right discussions and investigation helped me weigh out the factors. Bob the CPA: And so, if you were going to give just one piece of advice to somebody who is … Maybe they’re just got done with busy season, maybe they’re just about to roll up to a busy season depending on when they’re listening to this, and they’re thinking, “Maybe I want to get out of here and try something different.” What would be one piece of advice you would give them? Vince LoRusso: It would be to ask yourself the right questions. Where are you at? Did you accomplish what you wanted to at a Big 4 firm? Did you develop the skills that you wanted to? How long have you been there? Ask yourself those questions, and are you just over it? Are you too burned out? Because if you’re burned out, that’s probably the best time to leave, because once you jump into your new opportunity, Boom! You’re going to have this new energy, this new excitement, because you’re going to be around new people, in a new position, developing new skills. Bob the CPA: And it’s funny you mention burnout. We actually had a burnout expert on the show last season. So if anybody’s looking for more information, maybe they’re wondering if maybe they are burned out. They’re looking for the signs, the symptoms, or kind of how to get help. They can go back and listen to that episode last season also. And okay, so moving on! So people, maybe they’ve just decided they want to leave. Maybe they’re just dipping their toe in the water. 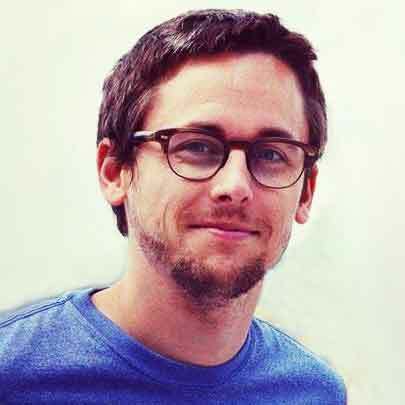 What are some of the main benefits of leaving that you’ve seen maybe in your career or people who you’ve worked with at TrueUp or even just your friends from public? Vince LoRusso: Absolutely, yeah. When you make that decision to leave, what you really want to do is maximize your value, and going into the next opportunity, there are four specific areas, and there may be more, that I would consider, though. One clear one is compensation, like your salary. The reason you go into public accounting or Big 4, and you generally take a haircut in your salary, is because you’re creating that intangible value. And you want to cash in on that, right? So once you go into your new opportunity, you want to make sure that your salary is very much in line, if not just a touch above, market value. The second one is your network. So now you’re going to leave Big 4, and what’s great about being at Big 4 is you are building relationships and you’re going to clients and meeting people all along the way, maybe the person that leads to your next job. Your next position out of public is going to give you an opportunity to meet new people, and that network can carry you the rest of your life, to be honest. Accounting friends I’ve met several years ago are the ones that are keeping me in touch with the accounting community and connecting me with the right contracts, or have at least. And you want to consider your network in your next job. Are you going into a consulting firm? That’s probably the best way to maximize your networking opportunities. You may go with a large big-corporate company, and within that big corporate company, you can meet people in other departments. So consider the network. So one, you’ve got salary. Two, you’ve got network, and three, skills. 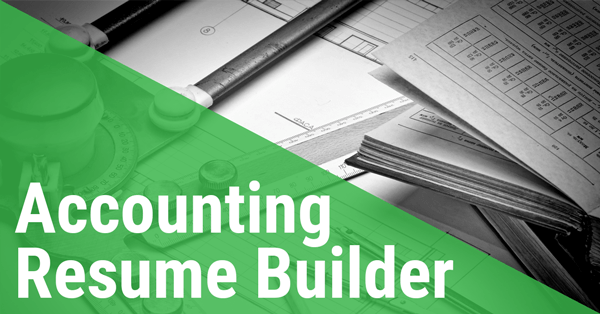 You create a lot great skills in public accounting. You’re the one that is able to develop soft skills, because you have to interact with people consistently, whether it’s your audit team or your clients. You are doing these analytical kind of analytical procedures but all these audit procedures, and you’re getting that outside party perspective on the financials, and you get to actually drill into each area. And when you jump into industry, you’ll find that’s a huge benefit. Bob the CPA: And actually, I think that’s something people don’t think enough about when they’re deciding to leave is, “Am I still going to keep learning?” Because you know, when you’re in the Big 4, you’re forced to go to two weeks of training every year, and you’re constantly surrounded by high-performing people who are, even if they’re not officially teaching you something, you pick up bits and pieces from them there, and if you go out to another job, it’s not always that simple. Sometimes you have to just kind of take it on yourself. So in regards to maximizing your value after leaving Big 4, the last point I would make is the worth-life balance. Try to find a position that … Granted, you may find a position that you’re still working late nights. Maybe it’s a high-growth company, but maybe the compensation is appropriate, like maybe you’re getting equity options. But try to consider what type of work-life balance you actually want and what that new position has to offer. Bob the CPA: We’ve established that leaving Big 4 can be scary, and so are most things in life worth doing, so that’s not really an excuse at this point. And then we’ve kind of covered some of the benefits and kind of how to make the most of if you do decide to leave, but it’s still very overwhelming. It’s a huge topic. We could spend two full seasons talking about the different ways to leave and then kind of how to do it right. I just want to cover one more kind of big piece of that, and you touched on it a little bit earlier. It’s the different cultures and kind of how you find out if you’re a good fit for it. Would you mind kind of just walking me through maybe high level, kind of the different types of work cultures you’ve seen and how people can start … Maybe the questions to ask themselves, or just kind of how they should go about deciding what is right for them. Vince LoRusso: Absolutely, yeah. So as I mentioned, I worked from the Big 4, I went into industry, I’ve done consulting we’ve done on all scales of business from the largest public companies down to small companies with 50 to 100 employees and such. And I’ve seen a lot, and because of that, I actually blogged about the six accounting work cultures. The seventh one, I don’t really trust, because I don’t have experience which is probably more like governmental. Not-for-profit. But the six that I’ve come across, I like to break it down by audit culture, consulting culture, early stage startup culture, high-growth culture, big corporate culture, and small business culture, and each one has very specific attributes and characteristics that come along with that day-to-day environment. So for example, and you can even … We’ve got a short quiz on our website on the blog. Bob the CPA: I’ll pop a link into the quiz in the Show Notes for this episode. If you head over to abacusshow.com, you can see everything we just talked about and head on over TrueUp’s website and take that quiz yourself. Vince LoRusso: Great, good, thanks. So let me break down in a few different ways, and each of these characteristics that I’ll mention right now can be attached to each of the six cultures that I also mentioned. So ask yourself, do you like routine, monthly tasks versus new projects all the time? So new projects may be you’re fit for a consulting environment versus a routine task. You should be a senior accountant at a big corporate company. Do you prefer to be in a private cube or work in an open workspace? And again, each of those are attached to one of the six accounting cultures. How about a big team versus a small team? What size team do you prefer to work in? Do you want to work alone, or do you want to constantly be interacting with others? Do you prefer to be within one department, or do you want to be working on multiple clients at a time? Another trait might be, do you want a slow-paced, predictable environment versus a non-predictable, fast-paced, kind of high-pressured type environment? For example, while I was at Cornerstone, it was very fast-paced. We were getting new team members all the time, gearing up to go public, and a lot of pressure and unpredictability comes with that as opposed to the slow-paced, predictable kind of environment. I worked at a company being the senior accountant, and the monthly tests just were pretty routine. For some, they love it, and others, they get bored. So it’s a question really of personality. And then ask yourself, do you want to clock out at six o’clock each day, or are you open to working til midnight? But you got to be compensated fairly, of course. But that was another one of those situations where … So if you want to be with a high-growth culture but maybe get equity options, make that company go public and hope to cash out, you may be working til midnight as opposed to a small business kind of environment where tasks are routine and you can clock out at six each day. But that allows you to have a great work-life balance. Here’s my take on it. Let me know if I’m off-base compared to your experience. It seems like there’s probably not one perfect new job that you should have to absolutely go to. There’s probably a lot of varying jobs out there that might be a better or worse fit, kind of on a sliding scale. Have you seen people who were like, “I have to do this,” or it is more people going out and they’re like, “Hey, here’s the different things, and this one seems better than this one, and I’ll just try it out and see how it goes”? Vince LoRusso: Yeah. Yeah, I would say more of the latter. I haven’t seen people so strict on a specific factor when it comes to picking out their new job. So more of the latter, and it should be that way because no job is going to be absolutely perfect. But if you’re very happy with the culture and the company size and the type of new skills you’re developing each day, stick with it. But maybe your comp is slightly lower? Like you mentioned before, then go with it. Not every factor’s going to be perfect, and I think that the population of us accounting and finance talent understand that. I think we’re such calculated people that we do that. About 90% of us have that spreadsheet where you list out the factors and apply some weights. Bob the CPA: I was doing like a one through five scale on how long the commute is verse what city has the most sunshine. It was pretty out of control. But I like to bring that up because I think some people kind of get in their own way, and they’re like, “If it’s not perfect, I’m not going to go for it,” when in reality, everything in life is about trade-offs, and it’s about finding the right balance for you. Vince LoRusso: Mm-hmm. Absolutely. Yeah, I’ve had multiple conversations recently just with our candidates and our members about this very topic. Bob the CPA: Now that people kind of have an idea of how to find what they want, how does TrueUp help them kind of match up with what might be the best role for them? Vince LoRusso: Mm-hmm (affirmative). Yeah, it’s a lot about the questions we ask. So this is a service built for accountants by accountants, and we’re really focused on Big 4. Right now, we’re launching our platform to the Big 4 only. In fact, that’s our website, big4only.com. And we’ve built it in a way that the questions we ask are very tailor to the accounting profile, and it’s a member-based kind of community where once they tell us exactly what they’re looking for, our matching algorithms basically match up against the job data that we have in our platforms, and they’ll see a match card. It’s as simple as saying, “Send my anonymous profile” or not. It’s like, “Click yes or no” based on the match card and the details they see of the job. And what it is is, like I mentioned before, we’ve kind of cut out that middle man recruiter. We’re not going to call you up about a job, but you’re able to passively look. They may be okay with their current position, which is in fact a good thing. We want them to be happy because we have these other career tools. For instance, this coming up month, we’ll be rolling out salary insight charts. So based on where they’re at now, they can see what the market value and how much they should be making and what skills they should have in the next three, five, ten years. So if I’m a senior accountant now, then my next level up, accounting manager, here’s what skills I should have and here’s how much I can make, for example. The goal is to connect the talent with a hiring manager of a company they really are interested in but doing it without any sort of pressure from a third-party recruiter and make it objective really, objective through the data. Bob the CPA: So I know you guys are still fairly new at the collecting of the data part of it. Have you spotted any interesting trends, or has anything popped out at you in looking at all of the data you have that’s would be interesting to talk about? Bob the CPA: If listeners are looking to learn more about what you guys have going on over at TrueUp, where is the best place for them to find you, whether in person or online? Vince LoRusso: Mm-hmm (affirmative), absolutely. First of all, definitely connect with me on LinkedIn. Anyone who wants that type of career advice, like I said, I’ve been in every environment. It’s Vince LoRusso. I think I got CPA on there. 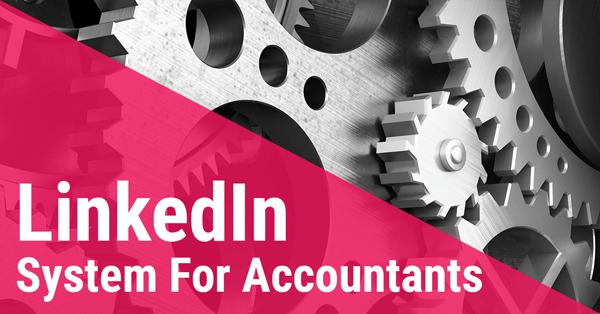 Bob the CPA: I’ll put a link to your LinkedIn in the Show Notes also. Vince LoRusso: Yeah, and I especially love talking to people and talking about where they’re at now and where they want to go and keeping it completely objective. If we talk, I’m not going to tell you about a job. That’s up to our matching. But also, so as I mentioned, we’re specifically opened to the Big 4 talent at the moment, and that’s how we’re launching our platform, so to become a member, they can go to big4only.com. Bob the CPA: All right, well Vince, thank you so much for coming on the show. I really appreciate your time today. Vince LoRusso: All right, okay, Bob. Thank you very much. Bob the CPA: Thanks for listening. I hope you really enjoyed that interview with Vince LoRusso and it helped you to clarify a few things that you should be looking for when you’re leaving public accounting. You can get links to everything we just talked about in the Show Notes for today’s episode by visiting abacusshow.com/203. Thanks for listening. If you’re new to the show, you can catch up on all of past episodes and get access to tons of training courses, cheat sheets, articles, and downloads by visiting abacusshow.com. Common fears you’ll face before leaving the Big 4. How to know if you’re leaving too early. The questions to ask yourself before leaving. What type of company culture is right for you? A new tool that helps you get the salary you deserve. Today Vince LoRusso is the CEO of TrueUp, an online platform that helps accountants manage your careers. 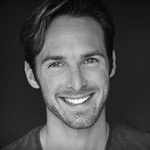 He’s also a Big 4 alum with experience in a variety of industries and different sized companies. Today we’ll discuss the fears he had when leaving the Big 4, how to set yourself up for success in your next job, and how to decide which company culture is the best fit for your next role.